Looking for great Texas honeymoon destinations? 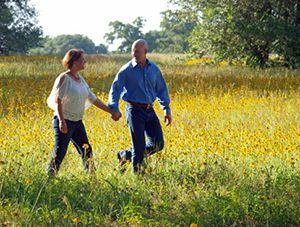 Spend the beginning of your new lives as Mr. & Mrs. in a quiet, secluded setting in the country at our Texas bed and breakfast ranch. Our charming country houses and cabins offer plenty of privacy of your honeymoon getaway, as well as great amenities such as outdoor hot tubs and full kitchens. We can provide a continental breakfast basket in your room, or choose to bring your groceries to stay on track with your healthy lifestyle. From adventure to relaxation, we have it all! Spend the afternoon horseback riding or try your hand at archery and trapshooting. You can enjoy spa services in the privacy of your lodging, take a romantic picnic out to the lake, or go catch-and-release bass fishing. Our 500-acre ranch also offers miles of country roads and trails to explore hiking or biking. BlissWood Bed and Breakfast Ranch offers the perfect honeymoon location that is far away from it all, yet easy to get to. Still planning your wedding? We are also a beautiful venue for Texas weddings and elopements! Create your perfect honeymoon getaway by adding one of our special packages to your stay, or contact us to design a custom package! The next day, enjoy a picnic for two in the Gazebo at Enchanted Lake, included in the package price. Enjoy a romantic picnic by the lake during your stay! The perfect way to relax and unwind after your wedding day! Enjoy a 60-minute massage together by licensed massage therapists in the privacy of your room. $229 per couple, plus tax & gratuity. *Our therapists appreciate cash tips when possible. Join us for an incredible romantic getaway in Texas. 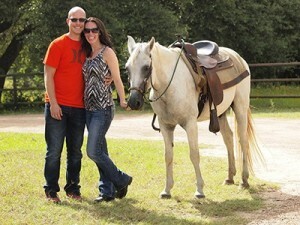 For more information about our Texas honeymoons email info@BlissWood.net.